Lot 59 Carriage Destination Board. 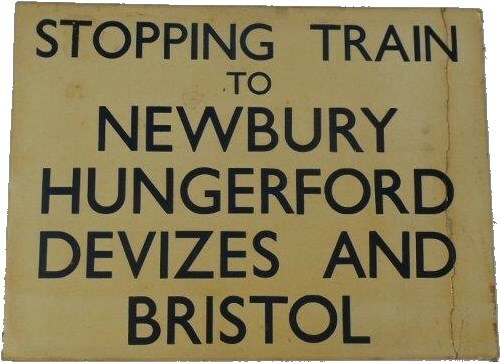 "STOPPING TRAIN TO NEWBURY, HUNGERFORD, DEVIZES AND BRISTOL". Size 20" x 15". Good condition.